Women played a critical role in the Civil War, overcoming not only the challenges of a lengthy war, but also the cultural norms of 19th-century America. The Civil War created some of the great female figures in our nation’s history and their examples of courage, diligence, and self-sacrifice are not widely discussed. Perhaps one of the most famous was Clara Barton, who drove out to tend to wounded soldiers with her own wagon originally without any permission of the War Department. Nursing a profession previously held predominantly by men was one way women could partake in the fight on the field. Women left their homes and served as laundresses and nurses for both armies, many with little prior training, as described by volunteer nurse Georgeanna Woolsey. Women also served in secret, cutting off their hair, and wearing men’s clothing. By conservative estimates 400-750 women fought in this way. One such woman, Sara Rosetta Wakeman, enlisted in the 153rd New York Infantry and took part in the Red River Campaign. She marched hundreds of miles through swampy bayou country; her letters back home give a unique picture of what it was like to experience the hardship of war while maintaining a false identity. Those who didn’t take to the field made valuable contributions of their own and proved that they were more capable than the role Victorian society had previously offered them. Away from battle, women ran the farms and businesses that their husbands had left behind a huge step forward in the fight for equality. Clara Barton later claimed that in the four-years of the Civil War the social position of women was advanced fifty years. Historians regularly uncover new details and add to the scholarship on women’s contributions to Civil War America. You can learn more about some of the more recent developments in our latest article, "Examining the Impact of Women on the American Civil War". 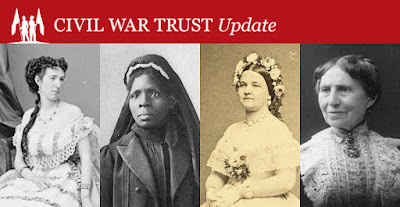 Historian Deanne Blanton discusses the role women played in the Civil War, highlighting some of their more famous experiences, as well as the role the war played in advancing women's independence. Learn about modern women who have championed battlefield preservation, like Patricia Kay Davies, whose generous bequest helped save 77 acres at Cedar Creek. Women also played a crucial role in the American Revolution. Just as in the Civil War, women made important contributions on the battlefield and on the home front. Learn about the Revolutionary War’s most famous women in this article. Learn about the women who risked their lives on the field of battle. These brave women had to conceal their identity in order to serve, and risked being discharged or in rare cases imprisoned to fight for their country.